I'm interrupting my trip to Vermont - yet again! - but will get back to my venture to Stowe and Emily's Bridge hopefully tomorrow. For today, though, I just had to do a post about yesterday's mini-adventure wherein I managed to once again embarrass my teenage daughter and meet someone from a rather popular TV show at the same time! It's been one of those 'secrets that everyone knows' that the guys from the SyFy Channel's series Ghost Hunters were filming at the old Norwich State Hospital grounds this past week. 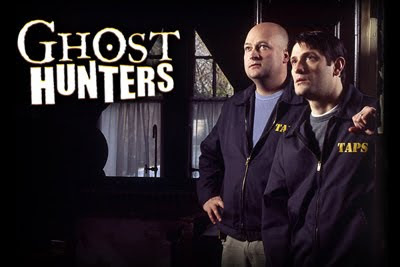 For those not familiar with Ghost Hunters, the show started in 2004 and is based on the investigations of The Atlantic Paranormal Society, TAPS, that was founded in Warwick, Rhode Island in 1990. 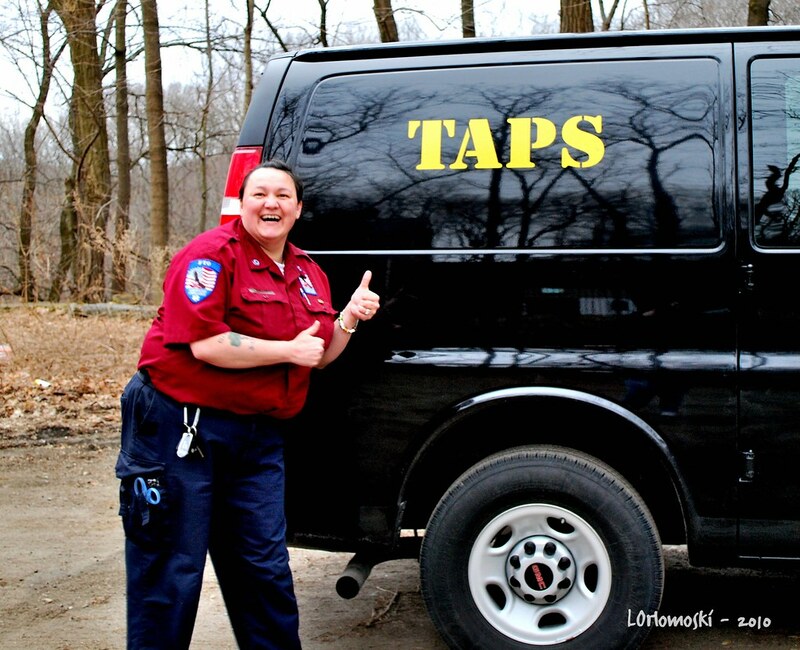 The founding members of TAPS are Grant Wilson and Jason Hawes - both of whom originally worked as plumbers for Roto-Rooter by day and investigated the paranormal by night. Due to the popularity of the show, they are now "honorary" employees of Roto-Rooter and pick up the occasional job as the show has definitely taken precedent in their lives. 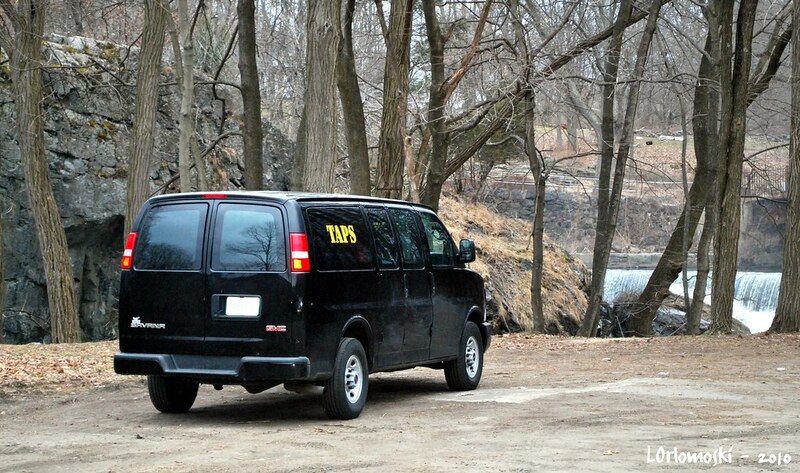 While at the sites that they are investigating, the TAPS team use various types of equipment including digital thermometers, EMF (electromagnetic field) meters, thermographic and night vision cameras, handheld and static digital video cameras, digital audio recorders, and laptop computers. After doing the initial investigation the team evaluates whatever data they have and then present their findings to the owners of whatever property they've investigated and offer suggestions or answer any questions that may arise. Some of the sites that TAPS has investigated are Fort Ticonderoga in New York, Alcatraz Island in San Francisco Bay, the Hindenburg Crash Site in Lakehurst, New Jersey, The Bird Cage Theater in Tombstone, Arizona, and The Lizzie Borden House in Fall River, Massachusetts. 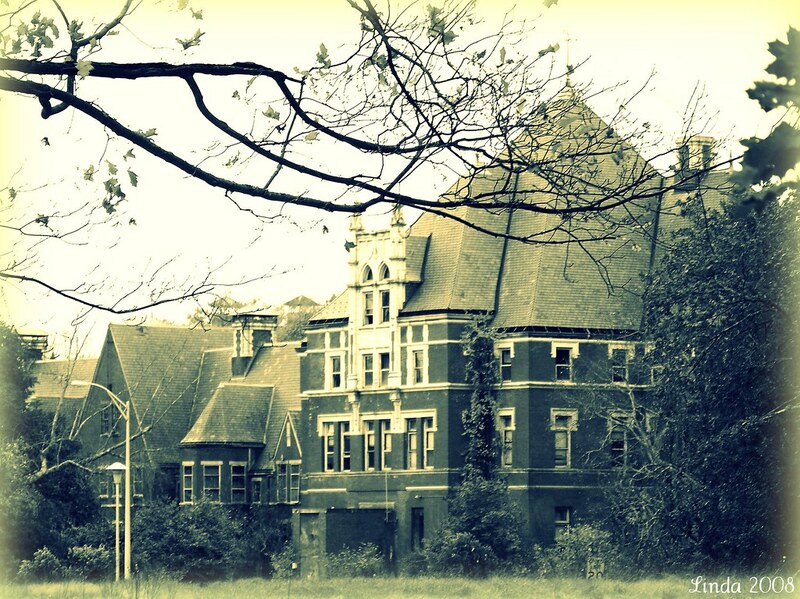 It has always been the contention of myself and a whole lot of other people that I know that the former Norwich State Hospital property would be the perfect spot for a TAPS investigation and it's been reported that the team had wanted to get onto the property, too. They were finally given permission and spent a couple nights there this week investigating and filming and now we all just have to wait patiently for the show to air. Anyhow, short story long - I got a text the other night from my friend Amy who is a MAJOR fan of the show asking me if I wanted to head down to the State Hospital and take pictures as she'd heard they were there but I was rather hesitant to go anywhere near the place as I was sure that there was plenty of security to keep the curious at bay. 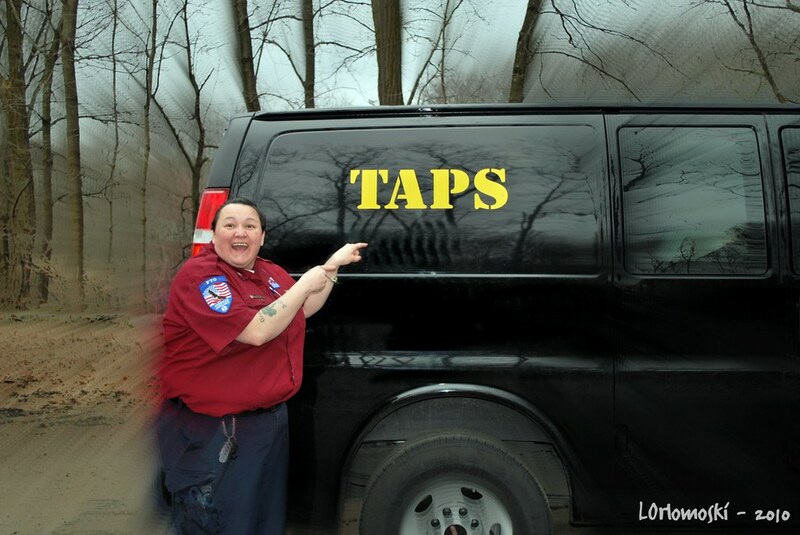 Amy found that to be exactly the case when she passed by the hospital grounds on her way to visit her mother when she spotted four State Troopers along with the regular hospital security crews so she gave up the hope of maybe getting at least a picture of the famous TAPS van. Just as I was getting ready to leave for my mother's yesterday afternoon, Amanda got a call from Amy on her cell phone asking if we were at home (I didn't hear my cell ring so missed her call) and when Amanda said we were Amy told her that she'd heard that the TAPS guys were over at the Yantic Cemetery nearby. Yantic Cemetery? MY Yantic Cemetery? 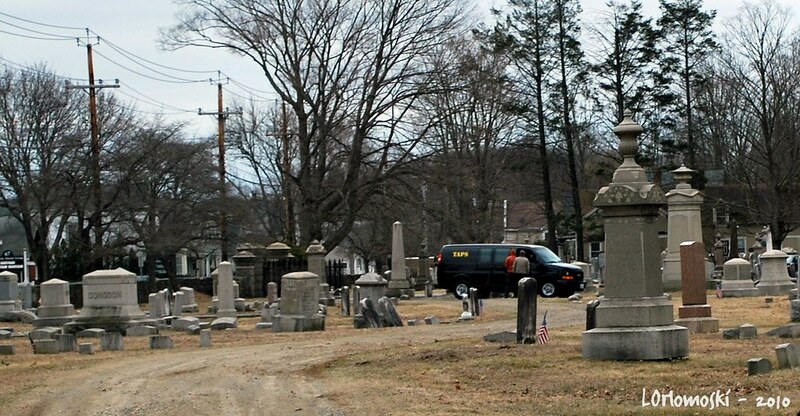 I told Amanda that they were probably doing location shots so we went over and sure enough - there was the van parked amongst the gravestones and a cameraman out shooting some video. Amanda immediately freaked and asked what I was going to do. Easy ... I was going to drive to the back of the cemetery and assess things from a distance! 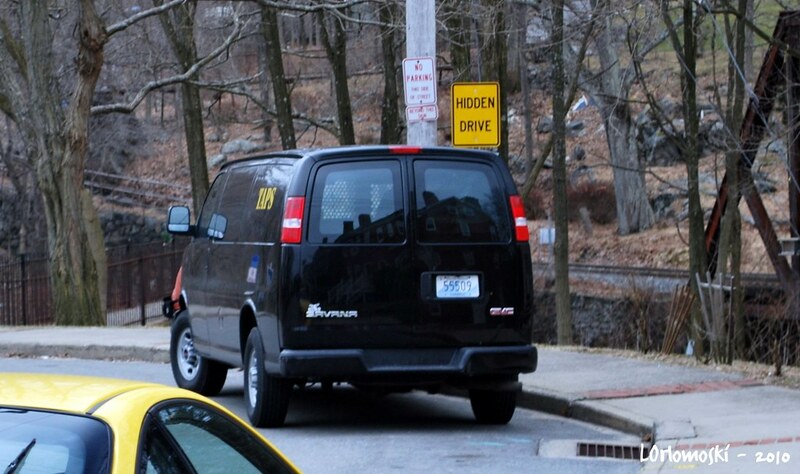 Basically my plan was simply to get close enough to get a picture of the van for Amy and not bother anyone so I drove towards the gate where I found the van to be blocking my egress. Another gentleman was talking to the crew and as he walked over to the car I rolled the passenger side window down and said "hi" - much to Amanda's mortification! Turns out the gentleman in question was Dale Plummer who just happens to be the City of Norwich Historian - a guy I had heard a lot about but have never had the chance to meet. He told me that since the theft of Sarah's statue, he's taken to doing his daily walk in the Yantic Cemetery instead of Mohegan Park just to sort of "keep an eye on things". He was taking that walk when the TAPS guys came by to do some fill work and suggested to them that they also go check out Yantic Falls as they were looking for some other areas to film. Yantic Falls? MY Yantic Falls? Alright then, I guess it was now off to there to see if I could get a slightly better picture than the one I had. Amanda slouched down in the passenger seat while she worried that they'd recognize our car and think that we were stalking them. Pishaw I told her, we'd be fine if they were actually even there and sure enough, as I turned onto Yantic Street there it was - the van! I parallel parked the car a few spaces behind, grabbed my camera, and jumped out as Amanda sunk deeper into the seat and said she'd stay in the car while I made a fool of myself. As I approached the van, I saw that the cameraman was across the street and getting a shot of Upper Yantic Falls in the distance. "That's not the falls you want," I called out to him and he walked across the street, video camera in hand, to ask me what I meant. I explained to him that the upper falls were nice but what he really wanted was the lower falls aka Indian Leap Falls which was the site of Uncas' legendary leap in pursuit of Miantonnomo. "Oh," says he, "I didn't know there was another waterfall." With that I walked him over to where the lower falls were visible, briefly explained the history to him, and at that point we talked a bit about why he was in Norwich in the first place. When I said, "you were filming at the State Hospital, right?" he said "Well, uh, yeah we aren't supposed to say so but I guess there was something in the local paper about it this morning." I told him that I knew because my daughter had told me and right after I said that, lo and behold, said daughter walks up and joins our conversation! Amanda had apparently decided that being as how the holder of the camera hadn't run away in abject fear and terror when I walked up that I wasn't necessarily a stalker and it was okay to get out of the car. She actually even introduced herself and it was at that point that we all shook hands and exchanged names. The anonymous cameraman was actually Jason - though not the Jason of Jason Hawes fame but Jason Bacby who is a cameraman for the show. Still cool in my book! We talked a bit more and he asked me if there were any other good places in Norwich to get some pictures; I suggested the City Hall building and Norwich Free Academy campus but of course couldn't think of any other places off the top of my head. I asked him when the episode at the State Hospital was going to air and he told me it would be on in about 12 weeks. I thanked him for his time, he thanked me for mine and then he waved over the van so that they could go park down closer to the lower falls where I had told him he'd get some good shots. - and Amy being Amy and totally excited (I'm pretty sure she was close to squeeing) she waved excitedly to Jason and then asked me if I thought it would be okay if she went down to meet him. "Well I guess so, he seemed nice enough when I was talking to him." "Great, will you walk down there with me and introduce me to him?" I found this rather bemusing as I didn't really know the guy myself but sure - why not? As Amanda and Amy's partner, Liam, looked on in utter bemusement, Amy and I walked over to Jason where I apologized for interrupting him and introduced him to Amy clarifying that she was a big fan of the show - not that I think I really needed to throw that in as that was probably pretty self-evident! They shook hands and Amy told him how much she loved the show and then she asked if it would be okay if we took a picture of the van. Jason said sure, no problem so I had Amy pose next to the van where you can see that she really wasn't excited at all! Not wanting to make the transition to actual stalker status, Amanda and I then took our leave and walked back up to the car so we could make the delayed trip over to my mother's house. Amanda still wasn't sure whether I qualified as a stalker or not but like I told her, I knew that Amy really loved the show and had been really disappointed when she couldn't get a picture the other night so what kind of friend would I have been to know they were in the neighborhood and not do what I could to get her a picture? After all, that's what friends do ... they embarrass their teenage daughters so that in return they get rewarded with smiles like this one .. If that makes me a stalker then so be it as I think it was more than worth it - not to mention I got this nifty blog post out of the ordeal! LOL you're just like me Linda - you have to be forward if you want something. Like I always say "If you don't ask, you don't get"! Good on ya gal! this was totally a fun story to read and i am sure for you to experience! and i am so glad amanda got out of the car and had some fun. if she hadn't she would have kicked herself later! Just from our roadside view that place HAD to be haunted! That's really cool, my sister is a big fan of the show. Two years ago I went to the Eastern State Pen. in Philly and took a bunch of pictures. A few months ago when I was loading them up on Facebook I realized that I had taken a picture that has a very suspicious looking figure in it...even though I was taking a picture of an empty cell! You make a great stalker, Linda! Sounds like you all had a great time. I'm happy for Amy! She looks thrilled. I'd love to watch the show about Norwich State Hospital. Sounds like maybe in July? Wow! Sounds like you DID have quite an "adventure"! Kudos to you for gettings those cool pics for Amy! Looking forward to seeing the episode (if I find out about it ahead of time), even though I don't regularly see the show. I think this is flipping awesome. You know I hate ghosts but I know you love them and I know how long you've been curious about that hospital. I'm sure you're anxious to finally see what's in there! I just love Amy's smile! Nah...not a stalker. Rather I'd say you were a very helpful citizen, proudly suggesting better shots for the out-of-town camera guy. You're a stalker with finesse! I admire people with moxie like you, and I'm very glad Amanda joined in on the fun. Great story!!! BTW: You need to get to know the history guy and see what else you can scare up story-wise. You were being curious and ended up being courteous. I used to be too shy to say anything to "famous people" when I had opportunities in NYC. Now, I politely say hello. If they don't want to be bothered you can either tell by their body language or they'll say so. Sounds like you all had a blast! You were definitely a GOOD stalker. You even helped out the photographer. Loved the story of this adventure. Let us know when the episode will be on TV. I'd watch.